Let me clarify a bit; I think it is an open air capacitor using principles of dielectric barrier discharge, and that the rotating magnets are creating an kind of Biefield Brown Effect, which then results in an asymmetrical open air capacitor which is producing a thrust vector produced by a directed electro~magnetic discharge. The way a normal capacitor works the discharge is equal over time as I understand it. This is the case during normal discharge in a dielectric barrier discharge but because of the magnets there is an additional factor involved. What precisely this effect is I have not given a lot of thought to just yet, but whatever it is the result creates a levitating effect. A corollary of a dielectric barrier discharge is the production of a plasma along with ozone and this discharge is an open air cold plasma, which in this case appears to be ejecting in a circular ring about the central axis of the machine, which is not producing any helpful thrust but with enough energy would begin to result in a surrounding atmospheric glow and I believe, but can't quite remember, that somewhere Alexey says something about a faint glow: In which case there is at least a partial validation of what is taking place. The entire machine appears to have the makings for creating an artificial analog type of plasmoid since the horizontally ejected ionized atmosphere would be in line with creating a machine that could be covered in a plasma and thereby result in something akin to a Foo Fighter, and which I think is what the ARV can do and which may also be an important part of the over~all propulsion system both in the atmosphere, and under water, as well as in our local interstellar medium. *Invisible plasmoid sphere's in the infared range have been recorded, even chased by aircraft and helicopters, so this ability to cover the vechicle in plasma has the potential for creating a cloaking effect. Last edited by Gambeir; 09-29-2018 at 03:17 PM. in full light you would not see much of a glow from that, would have to be at night with the lights out to get a picture of it. your description reminds me of something. there was a device linked to in the ARV thread were someone used ion emitters that physically spun in circles, then used another magnetic field to push off of the ion created field. but it has all the same components and the fields lined up the same way as the Alexey device, just a layout change. This is kind of a strange way to reply but maybe it will make some sense. Ya know, there's a video of a machine with an spherical shaped aurora surrounding it that was taken through a telescope purported showing an ARV type machine crossing the lunar surface. This video mentions the Alcubierre warp drive concept, and which has been associated with the ARV, and with those ideas which guided us about in the past involving crystals and what they may or may not be doing. The thing is I don't know that such a concept is possible if space is not what Einstein said, it's not what Tesla thought space was, and so I have some grave doubts as to what is and is not possible and how things work according to the established ideas we have all been sold. By all outward appearance's the ARV is also using a dielectric barrier discharge: Quartz crystals are frequent in dielectric barrier discharge technology. I think we had to shift through a mountain of crackpot and professional crackpotism to discover something probably imagined in the 1930's. Alexey Chernikov seems to have re~invented what was likely discovered a very long time ago. I now think it's even more likely that the Germans had figured this out and that we have photographic proof supported by other undeniable war time data which is strongly supportive of the idea that these machines were in operation by 1935 and possibly earlier. I'm reminded of the story about the electric rocket and the kid who sold the copyrights to Standard Oil for a million dollars: Alexey's machine has the same sense about it as an electric rocket. We all now know that the industrialists financed the last global war, we all now know they are pushing to try to create another global war, and so why the surprise? It all makes sense. Oh, and one last thing I want to tag on about all this. As long as those kinds of sociopaths have a grip on this technology we are never, ever, ever, going to know anything truthful about life outside our own planet. Last edited by Gambeir; 09-29-2018 at 09:07 PM. he never said the speed of light was constant, it was an assumption. is that it is making a magnetic field that is spinning inducing and electric field. and you can push off that electric field with an electrostatic field as the first field is not physically connected to what made it. no reason why someone could not have figured this out long ago. OK, well not had time to read this because it is a book, but just go to the link and skip to page 11 and scan the intro, then go to 91 and then see illustration on page 94. 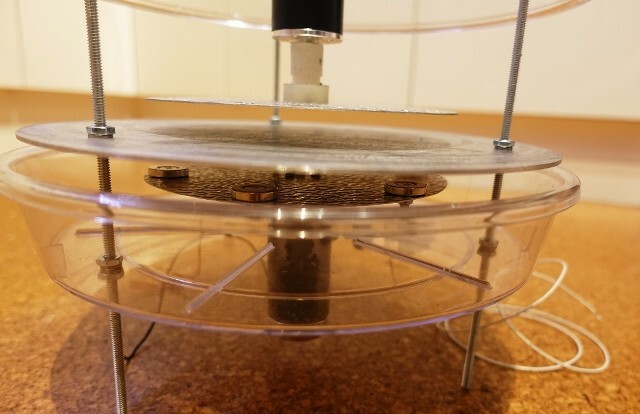 This is just about generating an electrical current by spinning the magnets.
" it occurred to me that the capacitor plates should be staggered and wedge shaped to make polarized gravity flow through a central, hollow core. Staggering the plates was the single most important idea I had. Last edited by Gambeir; 09-30-2018 at 12:52 AM. this appears to be how gravity is made. We should try to get a hold of Hooper and see if we can get these guys to work mapping out what they think is going on. Interesting how size of rotating discs, evenly energy distribution and sound waves are connected in this. Useful ? Nice one. Thanks NutzNvoltz (magazine ) very helpful actually. Cheers. Might be harder to get a hold of him than just reproducing his work entirely. what I got out of that is the frequency of the high voltage and the ultrasonic need to be adjustable, but the amplitude out of either seems not to be much of an issue. Yeah Spacecase, that makes sense. Also, didn't you mention in the ARV thread that you did some experimenting with oppositely charged counter rotating discs that produced a huge magnetic field? Seems like the permanent magnets wouldn't be needed in that case. it was the physically moving electrostatic field that created the magnetic field in my device. the problem I had with it was that the induced electric field from that magnetic field messed up my electrostatic field. so it would flip polarity once it built up any substantial field. and an alternating gravity force is not that useful. OK Spacecase, thanks for the clarification. I've shot two videos already, and neither of them was well liked. So I guess I'll need to go for something in between. Anyway; I've just wanted to make a new video when I was attacked again for doing it all wrong. Because you know what they say; belief is based on knowledge and knowledge is based in facts, and facts are the most persistent thing in the world. Everyone knows that, as you surely agree. I'd like to present to you the theory matched by the schemes as well as my reasoning; and my reasoning will be supported by facts from other videos. Of course I understand everyone has some doubts; and having doubt shows that you are grounded in reality. I understand this is too good to be true; so there'll be evidence. So this is why this video will be long. And if you find yourself uninterested in the whole entirety of this video, you can easily fast forward to the schemes. But to understand the principles you'll have to listen to my reasoning. I'll try to go into this in detail, including my own research. So please be patient, and let us start. Many scientists have their own theories in this regard. You can describe it like this: gravitation is the force that pulls us down to Earth. What does it amount to? In us being pulled down as such. There are several ways to affect gravitation; they are: low temperatures, as you already know; I've shown in a previous video how a magnet floats at a low temperature. The second way: special electromagnetic fields that affect gravitational waves of the Earth; and the third: the correctly chosen acoustic frequency also affects the weight of things. This has been proven in ancient times already, as the Egyptians built their pyramids they created audio waves with giant trumpets and the weight of things changed. You might also know about the Coral Castle; some blocks weighed several tons, and it was built by a single person, but he never revealed his mystery and took it to the grave. It's definitely clear he did it with acoustic vibrations, made the weight of the blocks lighter and created the castle. As we know, gravitation is the inter-working of frequencies; and 7, the neutralization of gravitational flows. When I started looking into this, I've come across the constructions of known researchers, such as Schauberger, Searl, Charles, so what did I see? I saw an analogy to the physical principles of their devices; they are almost identical, they rotate radially and have electromagnetic fields. Even in the project Bell that existed in the Third Reich, 2 cylinders rotate; and Schauberger has 2 rotating disks. They have the same principle, so many confuse Charles with Searl. No, guys, John Charles is dead, and John Searl is still alive. So what did it all start with? At the age of 14 Charles got employed as apprentice of an electrician at a plant in the English town of Birmingham. While he worked with magnets for electrical meters, he discovered a new effect of electric engineering in 1946: In a fast rotating disk, a radial driving force with a vertical vector appears. In order to increase this force he first magnetized the disks and then started using permanent magnets. So Searl had some rings, and Charles had these disks. Once a model consisting of a couple of intertwined rings was tested outdoors. Already at slow rotation a strong difference of potentials occurred in the radial direction of the rings, which caused crackling of electric charges and the smell of ozone. Then something completely unexpected happened: the block of rings took off and still rotating, floated at 1,5 meters above the ground, and the number of rotations kept increasing. The object was surrounded by a pink glow, which signified activation of the air at drop in pressure. The object started to rise. There was a side-effect: All radio communication stopped, radios have turned off. Finally, rotation got so fast that the object went out of sight. Inspired by his success, Charles has tested from 1950 to 1952 more than 10 models of levitating disks. He learned to control the speed of rotation. So then, an electric driving force with a vertical vector appears in a fast rotating radial disk. Just remember this. This effect has been also used by Schauberger, if you look at his construction, it's based on the same principle as Charle's construction. There is a slight difference between the two constructions; I've based my disk on Schauberger construction. In the 1980-s there was a lot of articles about Charles in the media, he was called the father of UFO, but suddenly just like by command all talks stopped. And then he died. I'll add that 2 Russians from Moscow, Vladimir Roshchin and Sergey Godin, decided to test the discovery by John Charles, they went to him and interviewed him in prison, but he refused to share his secret. They didn't give up and built their own generator of free energy. At weight of 350 kg it gave 10 KV of electric power without using any fuel, and its weight dropped during rotation. I've looked at the experiments by Schauberger, Searl and started making it. So what physical properties does this device have? What makes it levitate? The first thing that comes to mind is an analogy with a 3-section condensator. The disks should get charged when powered. I'd like to show you one device I've come across, an experiment on how objects with charged particles behave. I'll show you one video that's worth watching. It'll show that a charged object loses its weight. The aim of the experiment is the saturation of a sample of liquid in a glass ampule that's brought in equilibrium at lab scales. With help of induction machine I'll charge it with static electromagnetic energy and we'll see how it behaves in the gravitational field. It's under this sample. As it was a short term influence on the sample, there is no significant deviation; at a longer exposure the sample gets lighter by a more significant degree. As an example let's look at the time. Depending on the time the charge is bigger and enables creation of an antigravity field that is repelled by the gravity field of the Earth. This amount is enough. You can see that the induction machine is far enough. Let's make note of the time. This sample shows its anti-gravitational properties in the gravitational field of the Earth in a more significant way. It's noticeable. If this sample is charged in hard aggregational state, the charge is stronger, the electrical density is higher. And you can use this principle to build flying machines to lift and move cargo in the atmosphere and in space. ...Now that you've watched it let's draw conclusions from this video: an electrically charged object loses its weight. Electromagnetic fields surrounding the object partially affect the gravitation. But that's not enough as we need to make the object levitate. We need to create an electromagnetic field with a circular, closed stream, then gravitational waves will bend around it. For example Preiser's zone where gravitation is bent - this is created by electromagnetic anomalies of the Earth. So why do rotating disks create this effect? Charging the disks with high voltage creates a field around it, and mechanical rotation makes this field twist into two toroidal swirls. These swirls have a different potential so as not to fall apart, the lower one is the minus and the upper one is the plus. To prevent them from falling apart, I used the middle disk, charging it from the cacher [katcher], the charge is pulsating and makes the 2 toroids stable. And magnets situated on them strengthen this effect. While supplying high-frequency pulse from the cacher I selected the frequencies at which these toroids intertwined and twisted one into the other creating two toroidal whirls. It's worth mentioning that Grebennikov also said he flew on ring-shaped rolls, i.e. the very same toroidal whirls his device created; but the construction he used was different, while the effect was the same. While selecting the pause/pulse ratio on the cacher I made these fields pulse at such frequencies where gravitational waves bend. Let's for example take insects; they create similar electrical fields round their bodies. Take a look at the insect, how the charges are distributed in it and how the charges are distributed around the Earth. Let's take a closer look. What do we see? The same 3-way (3 section) asymmetric condensator. When we look at the body of a beetle we see the same plates as in Shaorberg's disks. They have the same flight principle. They create these anti-gravitational cocoons around which these gravitational waves bend. It's worth mentioning that beetles also use electricity in conjunction with sound waves. Beetles create the levitation effect due to the combination of acoustic vibrations and electrostatic charge in their bodies. Shaorberg's device used a similar principle, with one difference, it levitated by the traction vector in the rotating disks. ...This scheme shows that the engine consists of the propellers like those of a helicopter, but this information is wrong; Shaorberg believed the propeller traction force to be yesterday's news, a futurless idea for high speed flying machines. He proposed installation of special membranes instead of the propellers on his flying dish,thin metallic disks that were brought into motion by electric magnets. The engine has been created using the principle of the speaker in a telephone device, that's why the first flying machines were shaped like disks. ...And the beetles fly on their top wings, creating vibrations in them. It was the same effect achieved by different methods. They had one thing in common. Last edited by Sputins; 10-02-2018 at 03:22 AM. There are sound waves in electromagnetic fields that create an effect, this effect was replicated by Hutchison; as we'll see in the next video. He used a combination of waves from Tesla transformer and acoustic vibrations. He also used Van de Graaff's device. Let's look at this video and draw another conclusion. ...the inventor John Hutchison. Enthusiasts-experimenters have long proven that gravitation is an ambiguous term. The Canadian physicist and inventor John Htchinson already in 1979 witnessed a new occurrence unknown to the science while studying Tesla compression waves and using Van de Graaff high voltage generator. A short glossary: Van de Graaff high voltage generator generates voltage up to 7 Mio Volts. The functional principle is based on the electrification of the operating dielectrical tape; the power of the electrical current is incommensurably small, so that even children can touch the generator. 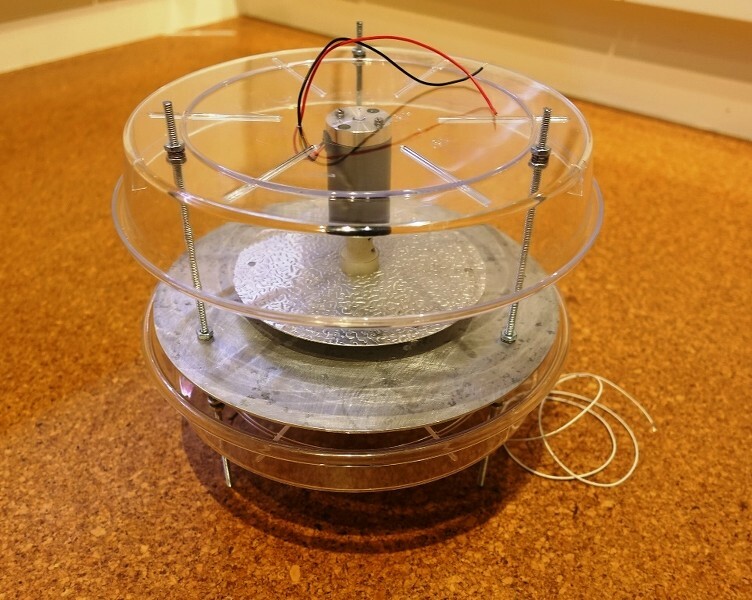 The interference of the longitudinal waves created by two or more Tesla coils made a 32 kilos ball levitate and lifted wafer ice-cream, wrenches and similar small items up to the ceiling. Metals and various materials, like wood and metal, intertwined and heated up to their melting or ignition temperature, and massive steel rods tore by themselves as if they were made of paper. The videos and reports look so convincing that they border on paranormal. Now we're looking at one of the experiments performed by the inventor in his garage. John adjusts the frequency of the electromagnetic emission that's directed at randomly selected objects. Hutchison made no secret of the fact that his discoveries were a continuation of the experiments by Nicola Tesla whose available works he carefully studied. But the results of Hutchison's experiments surpassed all expectations and crossed the boundaries of the existing knowledge about the nature of gravitation, space and time. After Searl, many experimenters, on their own, came to the conclusion that the electromagnetic field of specific frequencies can create the state of zero gravity where the matter, time and space change their characteristics. Four basic principles are clear. As you can see this is not my fantasy but real effects proven by real people, such as Charles, Searl, Shaorberg. 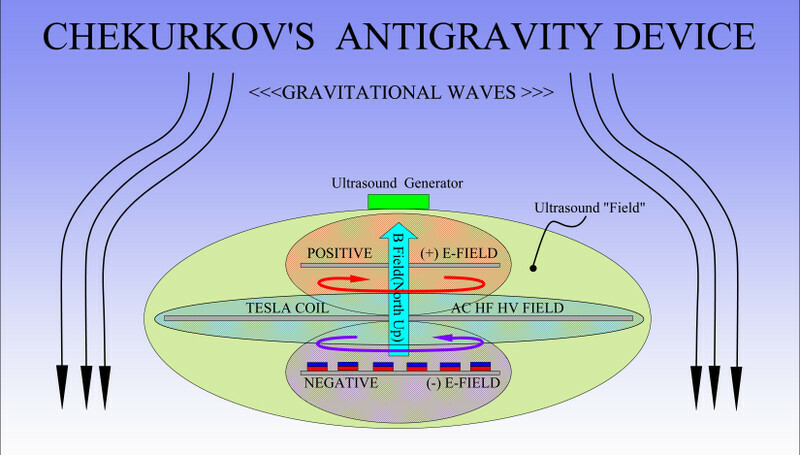 1: Electromagnetic field of a specific frequency can create a state of zero gravity. All these principles build a basis to graviplane engineering. Last edited by Sputins; 10-02-2018 at 03:23 AM. We see the regulator with a power unit; power supply, the regulator, then the power supply diagram of the FBT (it can be different, it can use 2 MOSFETs but I've decided to leave it simple); then the FBT and the multiplier that is built into the disk below. This is due to ground charges being distributed in the following way: The ground has the minus charge and the ionosphere has the plus. And as we know minus repels minus. So the minus repels from the ground. Why do we need the cacher? The cacher provides impulses (the transformer itself) but if we put a cable there, impulses shall be routed to the middle disk. What does it bring? When the motor units start rotating and we supply high voltage to them, 2 toroidal whirls are created that rotate in opposing directions. And the cacher, and the middle disk, doesn't let these whirls cancel each other out. You can see the positive and the negative potential that could cancel each other out; and the impulses, the constant impulse circuit prevents the two toroidal whirls from falling apart. As you could see in the video, Hutchison directed longitudinal waves at the objects, and the objects levitated. But those were high frequency waves. And I decided not to search for the correct longitudinal waves; I have the impulse going from the cacher but high frequency waves go from the ultrasound generator. There is a piezoelectric element here, it's situated in the upper part of the disk, the chip itself is quite small; the regulators are outside of it. <the low voltage part> Here is 1 wire but it has 4 cables inside; it powers on the engines and this chip. The power is distributed between the ultrasound generator and the engines. We see the engines (motors) rotate the disks in opposite directions, like in Schauberger's design. But in his layout this disk is the very same induction machine that is horizontally placed. But Schauberger had two longitudinal brushes here that took off the charges during rotation and divided them into electrons and positrons. The whole Schauberger machine was charged by positrons; and the object charged by positrons has the ability to levitate. As you remember from the video, a charged object, charged by simple electrons, also has the property of losing its weight. The gravitational waves of the Earth bend around it. Let's take a look at the system. These engines provide rotating force to the disks, 2 toroidal whirls are created, the middle disk doesn't let them cancel each other, and the gravitational waves bend around it. Gravitational waves are a simple aether that creates a pressure, it has a higher density despite being imperceivable. That's why all our planets are round, because they are under a tremendous pressure. Do you know why the planets are round? Because they are under the pressure from aether. So then; if the object isn't condensed the law of centrifugal motion comes into play, the centrifugal force of the Earth pulls this object away. This is clear. Going on; we have some magnets here. They are placed this way. There are six of them. Why six, why not 4, 8, 9? - Because if we put these lines here, we see a cell, a bee comb cell; like Grebennikov used to say, a wave beacon emits these cells. We have these fields distributed into a "chamomile". The North is above and the South is below, and the negative charge gets supplied to the South. Last edited by Sputins; 10-02-2018 at 03:27 AM. This creates an effect - I can't explain it in its entirety as I myself don't understand all of it yet, but I explain what I can, I explain it on my level of understanding; so then, here is my point of view. Hutchison as you remember experimented with longitudinal waves. He directed them at the objects, and the objects levitated. As you remember from the video the generator emitted high frequency impulses. As you can see I combine it all here. It might seem difficult, and I'm sure that the antigravitation system can actually be much more simpler than this. In Preiser zone for once there is no difficult electronics, just some anomalies that have to do with Earth crust. Anyway; this emitter, this piezoelectric element here, built into the disk itself, emits ultrasound for this whole system, emitting high frequency waves affecting the whole mechanism. The fine tuning though presents a problem. Those of you who worked with parabolic antennas know that there should be polarization in the horizontal plane, in the vertical plane. So here we have all the same problems: You should coordinate the impulse frequency from the cacher at the middle disk with the toroids by setting up the voltage and the magnetic force of the disks. We actually have a condenser here that's charging, and if the charge is too high or falls short, the scheme simply doesn't work and the gravitational waves no longer bend around the system but go down and put pressure on the system. If we synchronize them and achieve the resonance of these fields, the waves bend around the scheme, and we achieve the levitation of the objects. The top wing, the way Grebennikov did it, has a rough structure, it isn't even, and this unevenness bends the magnetic fields during electrification. Remember the beetle, it has a top wing and its wing beats, this beating of the wing creates electrostatic impulses that charge the top wing; and the top wing has a lot of small holes, and a sort of hairs on its bottom that accept charges. My system is a bit different. I copy these 2 disks, made of this metal, they closely resemble the structure of this beetle and the impulse is generated not by the beating wing but by this cacher that provides electrostatic impulses to the disk, combined with the ultrasound waves; and the whole system together gives this effect where the gravitational field of the Earth bends around it all. As you can see, you can build the device using this scheme when you have this metal (with unevenness). I've already started building a new disk. As you can see it uses a simple metal; it's build from simple DVD cases. And there are two magnetic fields here already. Here it is; I'd like to note here that I bear no responsibility for the possible failure of your experiments. If you don't have the required metal and the correctly adjusted settings, then you'll have no results. Here I finish, I hope you've enjoyed it. I'll get back to Grebennikov, and I've already started building graviplanes. I've worked with Grebennikov's archive, I do the research in all directions. He also invented levitating devices but they were based on a different principle, and a very simple one at that. I'll tell you in the next video. Please ask your questions, leave comments, like or dislike (I already expect some ****ty feedback from trolls). Last edited by Sputins; 10-02-2018 at 03:29 AM. would be nice if the guy with the running device would measure and tell us the frequency. did someone already ask him in the comments of one of his videos ? There are many parameters to adjust, fine tune and balance. Likely adjusting one parameter may mean others also then require re-adjustment. Fortunately most of the parameters are adjustable on the fly which should make things easier, (or more frustrating). Then on top of that, maybe a certain sequence needs to be followed. Hopefully Alexey will provide further details and a video about the settings and sequence he uses…! Without that info, the parameters and settings will just have to be found via best guess, trial and error. I’ve have a digital balance which I am setting up as a launch pad, so I can use the of weight seen on the balance as a tuning guide… As power is switched on and parameters slowly adjusted, one might see the balance readout change…? The natural Tesla coil resonant frequency** - Set by the L and C of the secondary coil and loading on the coil. Plate and rotating disc physical size*** could be changed with maintenance. Plate and rotating disc spacing / gap** – Even spacing or Asymmetrical? – If asymmetrical is it the positive side or negative side with the larger gap? Magnetic disc RPM / CPS* - Speed of counter-rotating plates. **Adjustable parameter only with maintenance. The Tesla AC HF HV Center Disc prevents from both Electric Opposite Fields to Cancel Out or Collapse...HOWEVER, as underlined above...Center Disc is also CHARGING BOTH E-FIELDS. Then, if the AC HV Tesla Coil supply charge is too high or too short it won't work. I believe, and please correct me if I am wrong...that the Frequency Rate from one emitter, NOT NECESSARILY need to be identical to another emitter, in order that BOTH BE IN RESONANCE...am I correct? I believe He is on this video...in an excellent order, trying to make Us understand that this whole thing needs to be in a close approach to "BLEND" (Or "FUSE") ALL FIELDS TOGETHER...through its settings or "TUNING" which NOT ONLY DEPENDS ON FREQUENCY, BUT ALSO ON HV LEVELS CHARGE of Both Discs E-Fields, Magnetic Field generated, RPM of opposite Disc, etc,etc. 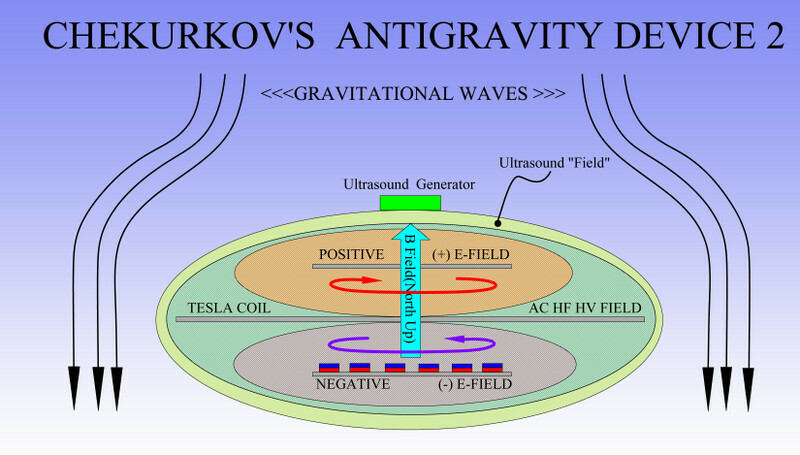 We are trying to reach this point...of "tuning" these Fields, in order to reach Antigravity...our device levitates. Last edited by Ufopolitics; 10-03-2018 at 02:30 AM. plenty of 2 channel signal generators that will let you set the phase angle out.